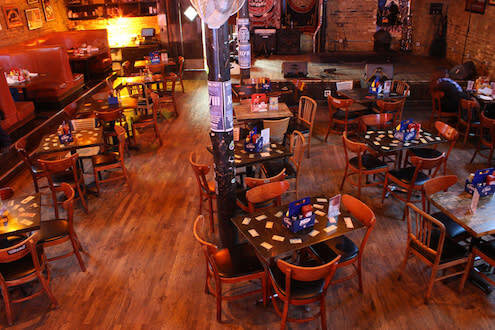 Reggies is a full service bar and grill that offers a delicious comfort food menu. 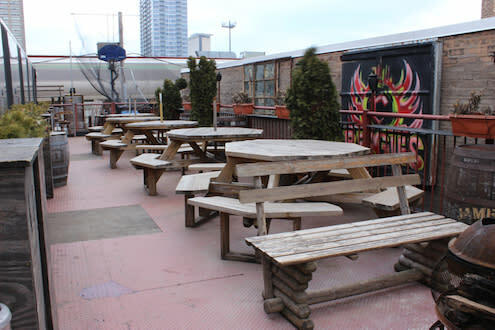 Dine in our Music Joint Bar and Grill or in the year round Trainwreck Rooftop Deck, conveniently located 3 blocks from McCormick Convention Center. 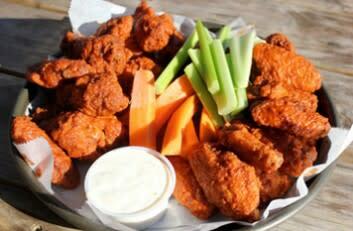 We specialize in wood-fire grilled burgers and sandwiches and our award winning wings. Customer favorites include the mac-n-cheese, pulled pork sandwich and our unique home made TV dinners. 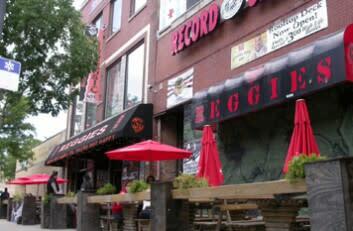 Reggies Music Joint features over 70 craft beers and live music nightly. 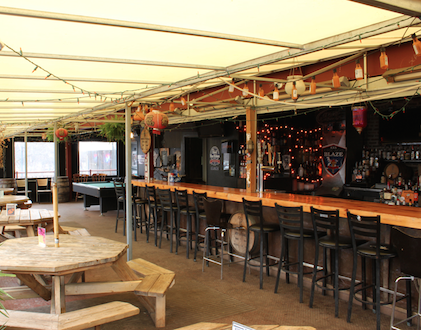 The Trainwreck Rooftop Deck features a free pool table and basketball game. So can come to eat and stay to play! 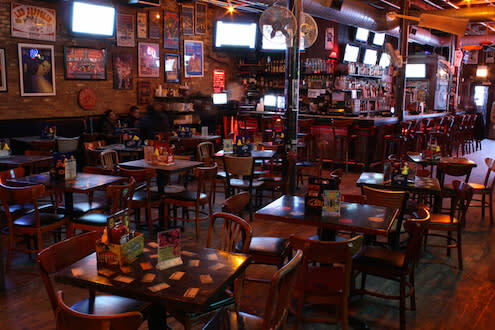 You can even enjoy all your Reggies favorites while you take in a show next door at Reggies Rock Club, our concert venue. 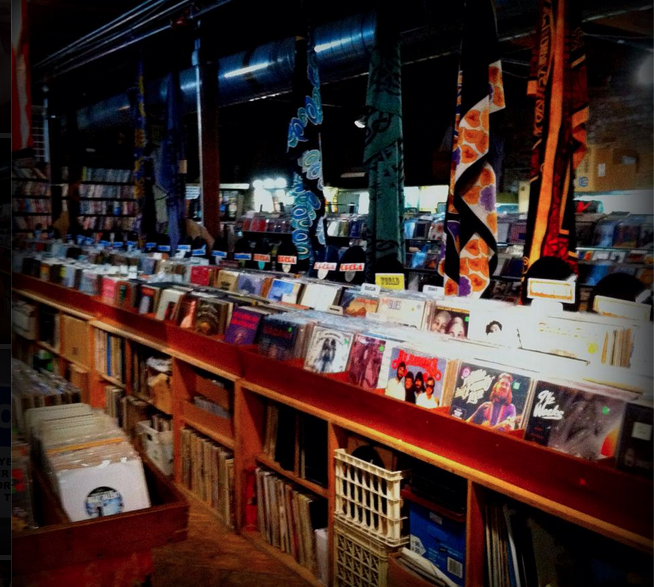 Contact us for private party bookings and buyouts!